PLEASE NOTE: VIP Packages go on sale Thursday, March 28 at 10am. All other tickets go on sale Friday, March 29 at 10am. Click here for a seating chart. Responsible for some of rock and roll’s most enduring anthems including “Juke Box Hero,” “Cold As Ice,” “Hot Blooded,” “Waiting For A Girl Like You,” “Feels Like The First Time,” “Urgent,” “Head Games,” “Say You Will,” “Dirty White Boy,” “Long, Long Way From Home” and the worldwide #1 hit, “I Want To Know What Love Is,” FOREIGNER still rocks the charts more than 40 years into the game with massive airplay and continued Billboard Top 200 album success. Streams of FOREIGNER’s hits are approaching 10 million per week. 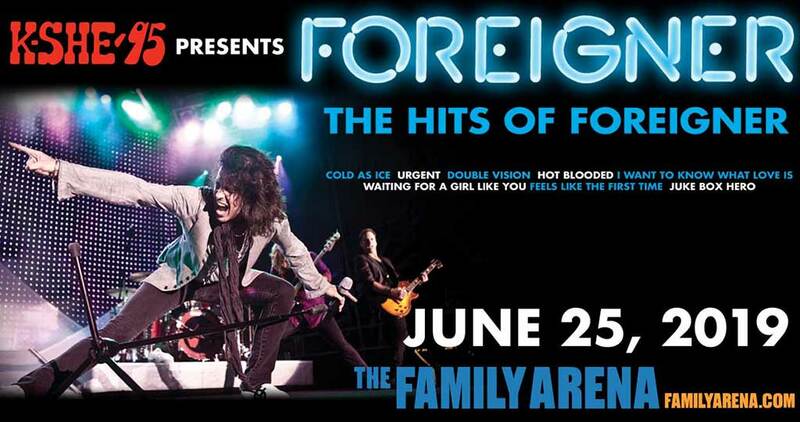 At FOREIGNER‘s core is the founder and Songwriters Hall of Fame member Mick Jones, the visionary maestro whose stylistic songwriting, indelible guitar hooks and multi-layered talents continue to escalate FOREIGNER‘s influence and guide the band to new horizons. VIP Package sales end June 17 at 11:59pm, unless sold out sooner. Will Call delivery only, with tickets available to pick up on the night of the show only. VIP merchandise will be distributed at the show. Please direct VIP package inquiries to [email protected].